Blockchain offers a spectrum of revolutionary benefits such as decentralization, security, privacy and transparency. The combination of all these benefits gives rise to the most profound quality of blockchain, i.e. ‘Trustlessness’. ‘Trustlessness’ is a model that doesn’t require trust to safely interact and transact. In a trustless system, you do not have to trust any other person for making transactions, but you can do it on your own. Trust is the fundamental on which we make our decisions while transacting with another party. Trust tells us whether the party we are interacting with are reliable or not. One of the main challenges faced by the internet users is that they do not know whom to trust and whom not to trust. Hence, a trustless system is important as it will ensure that our ability to trust the system does not depend on the intentions of any particular party because that may often be arbitrarily malicious, instead we can trust on our own while making transactions. 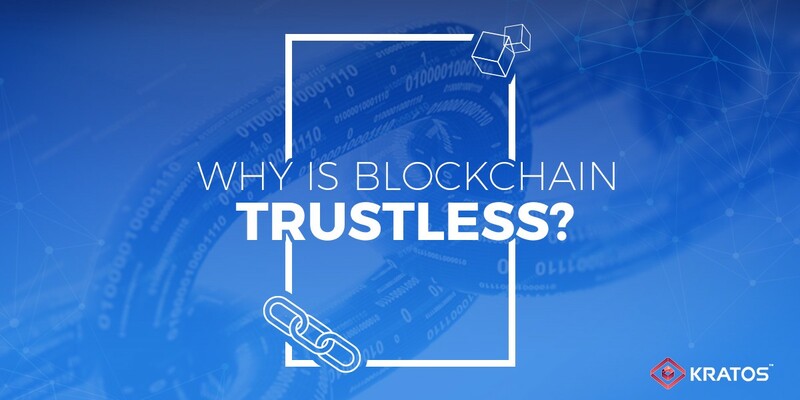 Blockchain technology can bring ‘trustlessness’ to the system and end the indecisiveness of the internet users regarding trusting others. It is possible to create a system where Trust is no longer required. In blockchain, a third party can be completely replaced by cryptology. Complex consensus protocols are run by the participants on the network as they unanimously decide what should be added to the distributed ledger of blockchain. Thus, these failsafe protocols remove the need for middlemen, thereby reducing the overall transaction costs. Blockchain not only facilitates transaction, but also can unquestionably prove ownership of anything (be it an information, property or any content), without the need for a central authority. Moreover, self-executing smart contracts end the possibility of any dispute regarding a party’s fulfilment of responsibilities or obligations. This indubitable aspect of blockchain further contributes to its trustless nature by completely removing the notion of disputing contracts and our dependency on paperwork. Smart contracts are automatically executed once certain pre-agreed conditions are met. They are not like traditional contracts as they can execute any function to the most micro level. For example, a smart contract will execute when the shipping and logistics company receives the ordered goods from the manufacturer or supplier, as it was already conditioned in contract. This removes the need for lengthy paperwork and the possibility of human errors. This does not take a third party to be trusted for completing the task, but it is an automated and immutable system in which there is no trust required. This shift from reliance on humans to incorruptible ledgers by utilizing smart contracts is important in the industries like legal, shipping and logistics, commodities trading and insurance etc. Smart contracts, for example, can be implemented to guarantee the quality of food across the supply chain. So, the potential application of blockchain technology is truly endless. Hence, it is important to utilize this technology to create a system that is completely trust-less.